Members will recall that at the meeting of February 27, we requested the NEC to approve a timetable for congresses and the convention ahead of the expiration of tenure of the current executive. However, rather than approve the timetable, members expressed concern that if we embarked on the congresses as planned, the process could precipitate a series of rancour, which might be difficult for the party to manage ahead of the coming general elections. It was therefore resolved with a near unanimous votes of 104 to 4 that the current executives of the party at all levels be allowed to continue in acting capacity for a period not exceeding twelve months starting from June 2018. Even as he canvassed this position, Mr. President graciously announced that he was open to alternative viewpoints and refused to foreclose further debate on the matter. Given this opportunity, NEC unanimously agreed that a committee be inaugurated to further examine the issue and advise the party on the way forward so as to ensure that whatever decision that we take will not only be in the best interest of the party, but will also be seen to comply with extant provisions of our laws. The committee was duly constituted under the leadership of His Excellency, Simon Lalong, Governor of Plateau State. I am happy to inform NEC that the committee has concluded its assignment and we are now in a position to report back to NEC. Your Excellencies, distinguished members of NEC, let me seize this opportunity to thank Mr. President for his rare act of graciousness and humility. By allowing further consideration of the subject matter even after announcing his preference, Mr. President has proven to be a true democrat and a genuine party man indeed. Where he could have imposed his will, Mr. President has exhibited true leadership by allowing himself to be open to alternative opinion, regardless of his personal interest, so far as they are consistent with the rule of law. Mr. President, we thank you. On a personal note, I have had to endure virulent media attacks, malicious insinuations and outright character assassination. However, the responsibility imposed on me by my position as the National Chairman of the party, demand that I rise above my personal pains and refuse to yield to the temptation to react in a manner that potentially complicates the situation for our party. However, I will like to urge everyone else to remember that regardless of our ambitions and personal interests, the party is greater than all of us. Mr. President, Your Excellencies, distinguished members of NEC. The experience of the last few days has made clear to us the enormous task in our hands as we go into the elections next year. If the progressive ideology that we stand for must be an enduring political order in Nigeria, we who occupy this space now, as founding fathers, must be willing to make real sacrifices to lay a solid foundation for generations to come. These sacrifices require of us to discipline our personal ambitions and selfish interests. If we do this, it would be easier for us to forge consensus and reach compromise, even on issues that appear to divide us. I must say that disagreements, debates and contentions are the hallmarks of progressive politics. Therefore, let no one tell you that our party was about to collapse only because we disagree. Our strength however will continue to rest on our ability to forge consensus even from apparently irreconcilable issues. If anything, what our experience in the last few days has confirmed is that we can disagree without being disagreeable; and that our party may be young, but we remain the bastion of progressive politics in Nigeria.
. 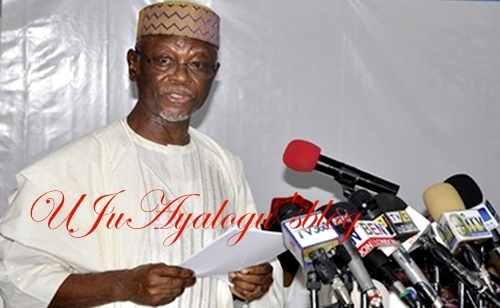 Being an address by the National Chairman of the All Progressives Congress, Chief John Odigie-Oyegun, at the National Executive Committee meeting of the party on April 9, 2018 in Abuja.